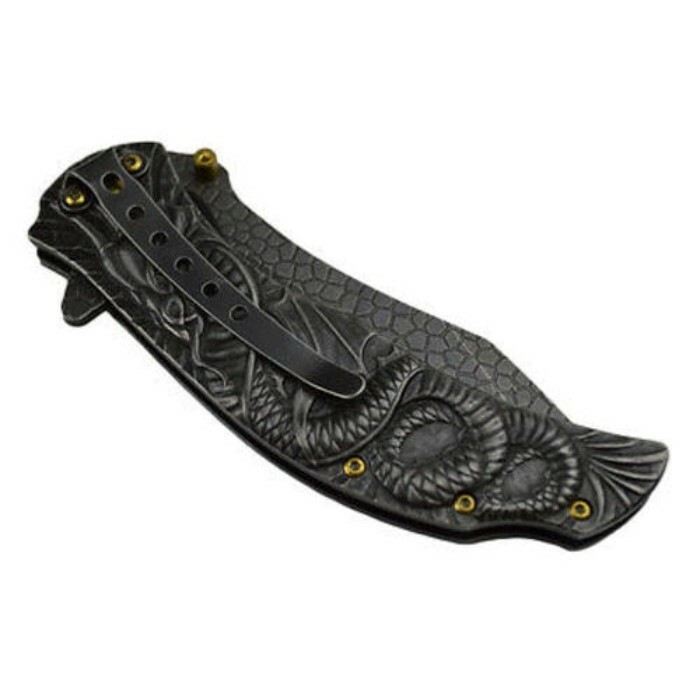 Be the protector of your hoard with this new, dragon inspired spring assisted knife from MTech's Master Collection. The spring assisted opening mechanism ensures your knife is easy to open when you need it and the 4.75" closed length fits easily in your pocket or with the attached pocket clip. 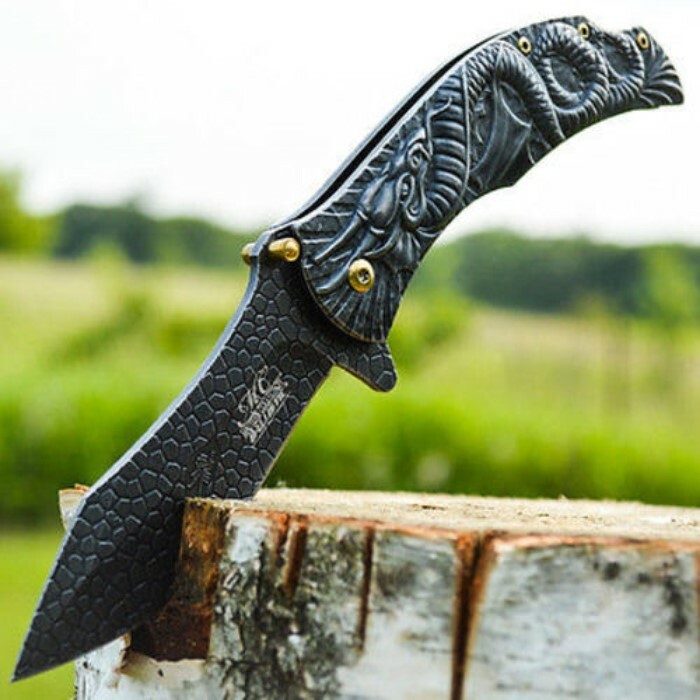 This knife is made entirely from stainless steel for durability, easy maintenance and rust-resistance. 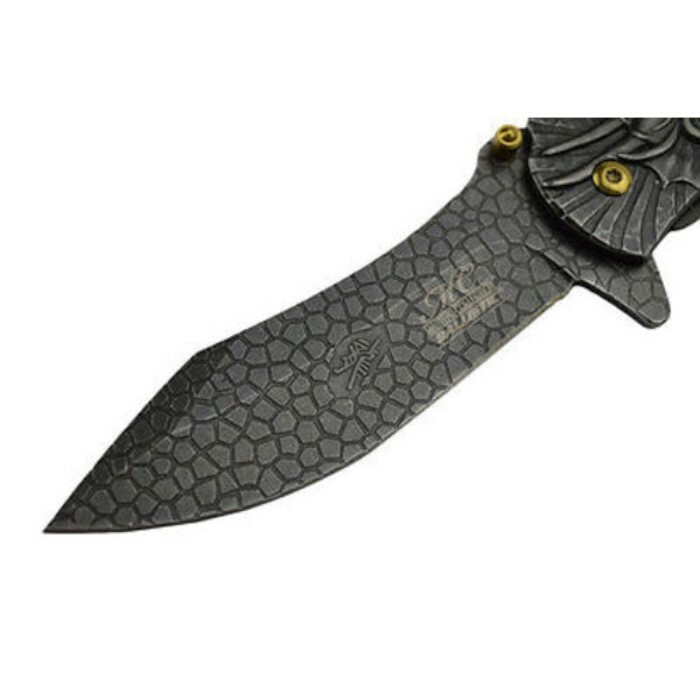 But, where it really shines is style; the attractive acid etching on the stone washed black blade looks like dragon scales and provides extra grip for tough cuts. 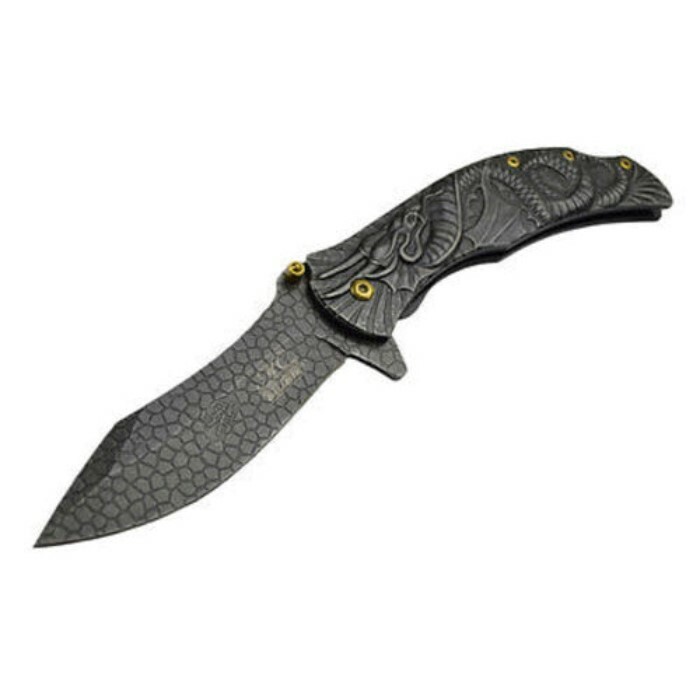 The dragon on the acid stone wash handle creates extra grip, so whether you're using this knife for decoration or cutting rope, you'll always have it comfortably and firmly in your hand. 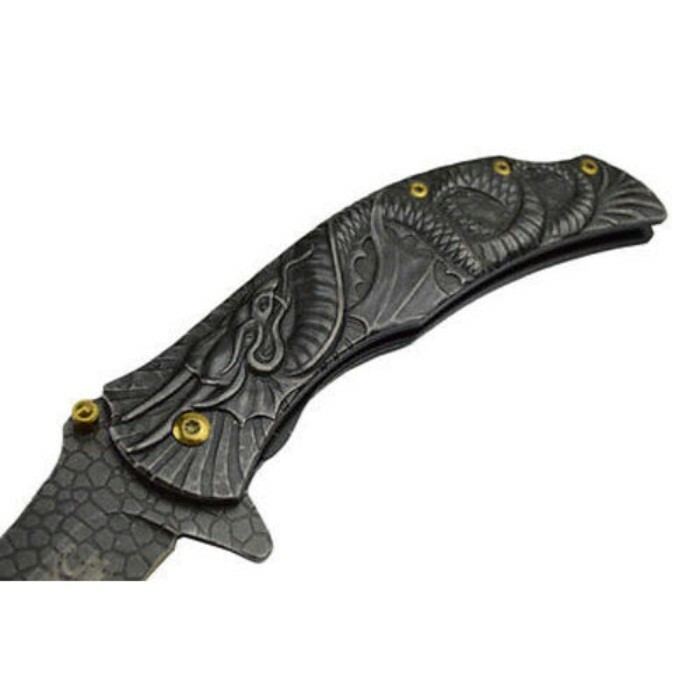 Awaken the dragon within with this new knife from MTech!